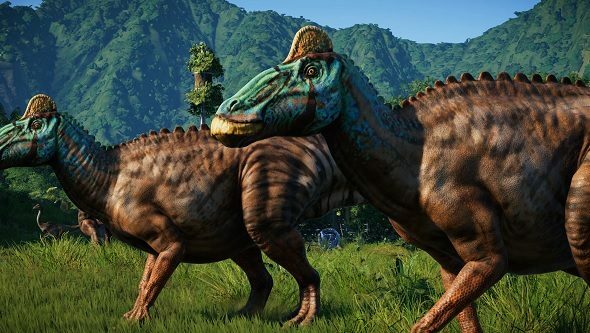 If you’ve been playing Jurassic World Evolution over the weekend, you may have noticed that it offers no mod support. That’s a shame for a game with so much modding potential. Think of the possibilities – new design tools, new park-building, new dinosaurs. Frontier Developments had already announced that the game would not offer mod support. In an interview at E3 last week, the studio’s founder and CEO, David Braben, offered some clarification as to why that was the case. According to him, leaving out mod support “means that we can easily update the game. Speaking to PC Gamer, Braben said that “what we don’t want […] is the game going in multiple directions and we can’t touch the code – because then you would trash all the mods.” Given one of Frontier’s other games, fellow park-management game Planet Coaster, is full to bursting with player-made content, many fans of the studio were disappointed to learn that Jurassic World Evolution wouldn’t be given the same treatment. If you haven’t begun your very own dinosaur journey yet, check out our Jurassic World Evolution PC review. If you have set up your park, but can’t stop those pesky velociraptors from chowing down on your guests, you might need some Jurassic World Evolution tips instead. Braben suggests that Frontier has plans to expand on JWE, so even without mods, expect to see more dinos fairly soon.